Fireball Run Comes to Dutchess (Beacon & Poughkeepsie) in September! Fireball Run has selected Dutchess County as a featured destination in the series’ 10th Anniversary Season. 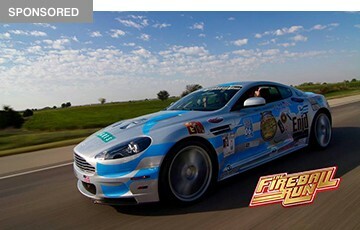 Fireball Run tells the story of 40 teams, as they compete in a legendary 2,000-mile, life-sized trivia game. To win, contestants take the road less traveled in an epic quest for America’s under-discovered places and historic artifacts, while aiding in a massive awareness campaign, The Race to Recover America’s Missing Children. Streamed online in the USA, and televised internationally, Fireball Run is a 26-episode adventure travel series, which educates and entertains viewers while inspiring travel. A trivia game at the core, Fireball Run’s mission is nothing trivial: to find missing children. Partnering with Child Rescue Network, each team is assigned a missing child, and tasked with distributing posters along the 8-day route. Since 2007, Fireball Run has aided in the recovery of 47 missing children. The live competition is from September 23 to October 1. Spectators are welcomed to meet the celebrity teams and take pictures with exotic vehicles, when they stay overnight in Beacon on September 28th. Red carpet events are streamed live HERE! 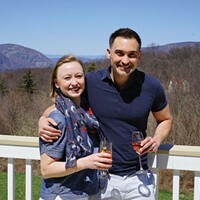 From a train ride and Easter egg hunt to a craft beer festival, here are 8 fun Hudson Valley events to check out in April. Though coworking was born in urban environments like New York City, where rents are prohibitive, the concept has gradually migrated to the Hudson Valley. 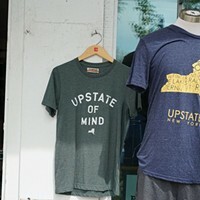 Here are six of our favorite upstate coworking spaces. The Ashokan Center is the perfect setting for that winter wedding fantasy.